God’s number one characteristic in the Bible isn’t his sovereignty, omniscience, omnipotence, omnipresence, anger, or justice. The world often wants to portray God as someone who is completely focused upon judgment. But God describes himself first and foremost as a God of mercy. When God revealed his glory to Moses, he said, “The Lord, the Lord God, merciful and gracious, longsuffering, and abounding in goodness and truth” (Exodus 34:6b NKJV). Mercy is the first characteristic God uses to define himself in the Bible. It must be the most important. God is merciful, and God wants us to be merciful. Quite simply, mercy is love in action. It has two distinct parts. Webster’s Dictionary defines mercy two ways, as “refraining from harm or punishment” and as “unexpected kindness.” God wants us to do both. The forgiving side is refraining from punishment. And the compassionate side is going the extra mile to help somebody with unexpected kindness. We need to demonstrate both. It’s more than just an attitude. It’s a lifestyle. Psalm 103:8-18 — The Lord is compassionate and gracious, slow to anger, abounding in love. He will not always accuse, nor will he harbor his anger forever; he does not treat us as our sins deserve or repay us according to our iniquities. For as high as the heavens are above the earth, so great is his love for those who fear him; as far as the east is from the west, so far has he removed our transgressions from us. As a father has compassion on his children, so the Lord has compassion on those who fear him; for he knows how we are formed, he remembers that we are dust. The life of mortals is like grass, they flourish like a flower of the field; the wind blows over it and it is gone, and its place remembers it no more. But from everlasting to everlasting the Lord’s love is with those who fear him, and his righteousness with their children’s children— with those who keep his covenant and remember to obey his precepts. Daniel 9:9 — The Lord our God is merciful and forgiving, even though we have rebelled against him. Isaiah 49:13 — Sing, O heavens; and be joyful, O earth; and break forth into singing, O mountains: for the Lord hath comforted his people, and will have mercy upon his afflicted. By Eric Metaxas and Shane Morris, at http://www.breakpoint.org, September 25, 2017. Of the non-religious— those who aren’t explicitly atheists but don’t identify with any faith— 34 percent in Britain and 37 percent in Canada agreed that evolution cannot explain the mind. That’s why Lewis defined faith as “the art of holding on to things your reason has once accepted, in spite of your changing moods.” It’s also why Christians shouldn’t be afraid of reason or evidence. We should engage our doubts with confidence that our worldview— unlike the secular one— has the resources to explain both the natural and the supernatural aspects of the human experience. 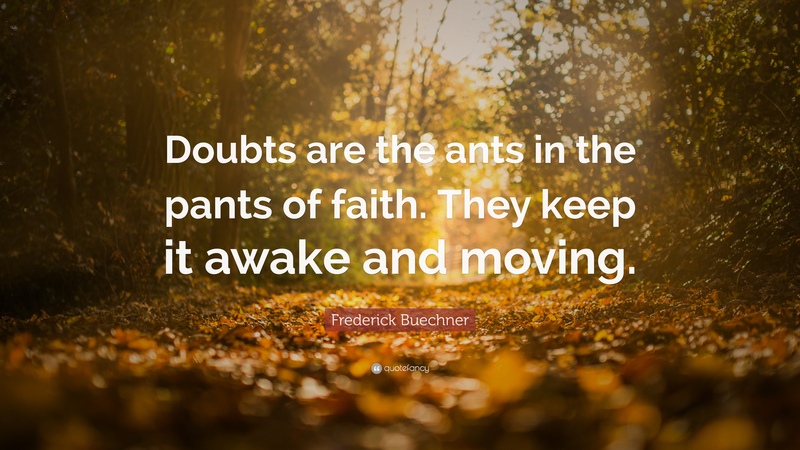 In both cases, doubt— counterintuitively— can lead to faith. Matthew 28:16-17 — Then the eleven disciples went to Galilee, to the mountain where Jesus had told them to go. When they saw him, they worshiped him; but some doubted. 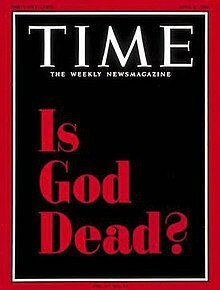 When I was in graduate school, I had the privilege of doing my doctoral dissertation under the prominent “God Is Dead” theologian Paul Van Buren. I owe a great deal to this man, because he was the first one who forced me to think in ways that could avoid ambiguities. “I have not made trouble for Israel,” Elijah replied. “But you and your father’s family have. You have abandoned the Lord’s commands and have followed the Baals. Now summon the people from all over Israel to meet me on Mount Carmel. And bring the 450 prophets of Baal and the 400 prophets of Asherah, who eat at Jezebel’s table.” So Ahab sent word throughout all Israel and assembled the prophets on Mount Carmel. A PRAYER OF MARTIN LUTHER ON THE FIRST COMMANDMENT: I thank you, Lord, for mercifully condescending to me, a lost person, in such a fatherly way. Unbidden, unsought, and undeserved by me, you offered to be my God, and have accepted me. You will be my comfort, help, protection, and strength in every time of need. 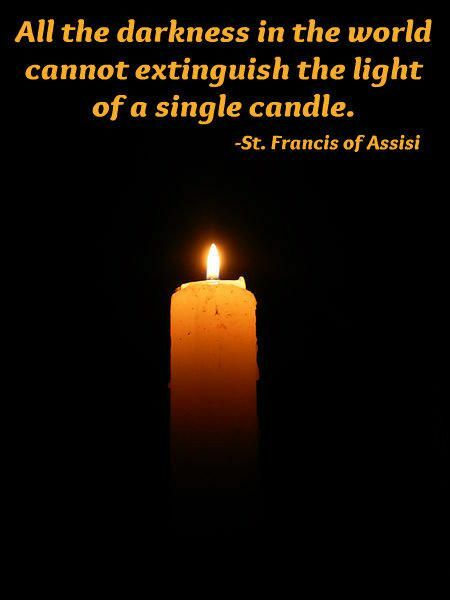 Although we poor, blind creatures have sought our comfort and help in many other places; you have shown us that only in you do we have a true and lasting hope. We will be forever grateful. Amen. (…continued) Do you spend more time being grateful or making comparisons? But do we have any right to be envious of God’s generosity to someone else (Matthew 20:15)? After all, what makes us think we are capable of making a valid comparison between our own blessings and the blessings someone else has received? Does anyone know ALL the aspects of another person’s life; all the blessings and all the sorrows? There are so many aspects to a life– family, finances, work, health, mental well-being, and so much more. Do we really think we can make an accurate judgement of who has received more or less from God? What we usually do is take for granted those ways God has blessed us the greatest, and then look around with resentment at those who have something more of something else. For example, someone with plenty of money may take that for granted, and be envious of the stability and peace they see in someone else’s family. Someone with a close family may take that for granted and be envious of the greater financial security they see in someone else’s life. Yet another person might have plenty of money and a stable family, and take all of that for granted, but be envious of the good health of someone who has little money and lives in a hopelessly dysfunctional family. So it goes. We would all be much better off if we did not make any comparisons at all. In the parable and in the story of Alan, it is the comparisons that cause the trouble. It is the comparing that destroys the sense of gratitude. In our relationship with God, such comparing might even lead to a bitterness that can destroy one’s faith. The illustration of winning the lottery provides only a meager example of the kind of windfall we all receive by just being born and given this life—even more so, being born in this country at this time. This parable of Jesus is all about making comparisons. If you really compare life in this nation of opportunity, at this time of such prosperity, with practically any other time or place, you will realize that you have already won the jackpot in life’s lottery just by being born here at this time. 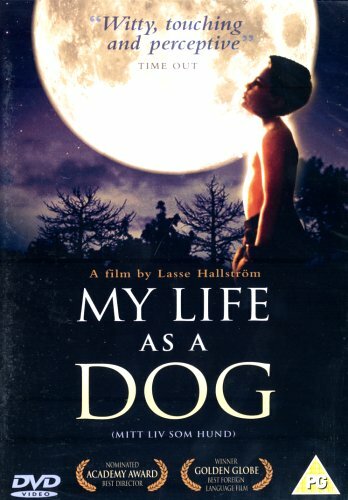 Whenever I think about this problem of comparisons, I recall the film, “My Life as a Dog.” The movie is about a little boy who has a hard life. His father abandoned the family and his mother ignored him. Then she got sick and died, and he was sent off to live with relatives. There, he has some good times, but also several misfortunes. Yet, for the most part, he remains a cheerful and hopeful little boy. The source of his good attitude is shown in several scenes when, after something bad happens to him, he goes off by himself to think. And it is in these thoughts that he makes all sorts of comparisons to cheer himself up. And these are comparisons are the opposite of those made by Al’s friend or by the workers in the parable. The boy looks up into the night sky and says to himself things like, “Just think, I could have been in that car last week that was hit by a train. All those people dead and injured. That could have been me. Or just think about that man across the street with the bad kidneys who had to have an operation but died anyway. I could have bad kidneys. Or think about that poor dog Laika that the Russians sent up into space for an experiment (the setting was the late 1950’s). Will he ever come back? No, when the experiment is over, that poor dog will run out of food and then just die up there. Think of how lonely that poor dog must be. At least I am not that bad off.” And with such thoughts, the little boy would always cheer himself up. Instead of comparing himself to all the happy children in town who had parents, and being angry his unfortunate life, he compared himself to those who had greater troubles, and he was able to stay cheerful and grateful. Much of our spiritual and mental well-being is based not so much on what we have received in life, but on our attitude towards what we have. We have all been given a mixed bag of blessings and troubles, and we can receive it with gratitude or resentment. The message of the parable is to be careful in our comparisons, to think clearly about what we deserve from God, and most of all, remember God’s grace and generosity and be grateful. “COUNT YOUR BLESSINGS” By Johnson Oatman, Jr. The Red Vineyards, 1888, Vincent van Gogh (1853-1890), (believed to be the only painting he ever sold). (…continued) The story of Alan Tucker in yesterday’s meditation is not a true story, though it is based on what many people have experienced after winning the lottery. There are several things going on in this little illustration. First of all, there is the amazing generosity of Al. Then, there is the initial gratitude of those he helped after receiving such an unexpected and undeserved gift. So far, so good. But the happy story turns into a sad story when everyone started comparing their good fortune to the good fortune of other people. Then everyone forgot about the good will of Alan, and their gratitude turned to resentment when they came to believe that they had been treated unfairly and deserved more. This does seem unfair, but perhaps the farmer had his reasons. Maybe a day’s wage was what it took to feed a family for a day, and the farmer didn’t want any hungry families. But why weren’t the other workers out there earlier? Had they been sleeping all day? The farmer asked about that, and they replied they had been out looking for work and had no luck until he found them at the end of the day. Maybe there were other factors. But for whatever reason the man had for paying as he did, he did nothing wrong. He chose to be more generous with some than with others, but all received at least what was agreed on. Both stories have much to say about our own lives, and how we receive and accept the blessing we are given. God has given us enough to live contented and grateful lives, and everything we have been given is a free and undeserved gift from God. Our negative feelings come when we start looking around at what someone else has. No matter who you are, you can find other people who you are sure have more and deserve it less; or at least that is how it looks to you. Without a doubt, you could also find those who probably deserve more than you and have less—but that is not our usual way of looking around. It is just like Al’s friends. They did not even look at those who were maybe better friends of Al and received less. They just saw those who were not as close and got more. In many areas of life, it is entirely appropriate to talk about what you deserve. If in school, you answer every single question on a test correctly, you deserve an “A” from the teacher—that’s how it is set up. And if you agree to work at a job for $10.00 an hour, after ten hours, you deserve to be paid $100.00 from the person who hired you—that’s the deal. But what’s the deal you have with God, and when did you make it? How should you decide what you deserve from God? And on what basis do you decide if someone else is getting a better deal from God, and whether or not you are begin treated unfairly? That is one of the things this parable is about. Matthew 20:15 — Am I not allowed to do what I choose with what belongs to me? Or do you begrudge my generosity? It was Alan Tucker’s lucky day– the luckiest day he could have ever imagined. Actually, he had imagined such a lucky day many times. Every time he bought a lottery ticket, he imagined to himself that this time he might be the big winner. Each week, Alan quietly bought a few tickets, eagerly awaited the winning numbers, carefully checked and rechecked each of his losing tickets, and then threw the worthless pieces of paper away. But this time, there was one ticket he did not throw away. It was the winner, the big winner of one of the largest jackpots ever. The next day, Alan heard on the news that across the whole nation, there was only one winner. He checked his numbers one more time, and it was him. It was all his– 643 million dollars— and even after taxes, that would be a lot of money. Alan was a good man with a big heart. In all those years of buying lottery tickets and imagining himself a wealthy man, he always thought about how much fun it would be to help other people. Sure, he would first quit his job, build a nice house, and do some traveling. But he also looked forward to helping other people; not only his family and friends, but also other people he heard about. He wasn’t married and there was no way he could spend all that money on himself, so he would use much of it to help those in need. He had recently heard about a family in town whose son had been paralyzed in a bad accident, and they were trying to raise money for a new van for his wheelchair. They had already had some fundraisers, and were receiving a few hundred bucks here and there. But they needed $45,000. Alan hardly knew these people, but he felt sorry for them, and knew that now he would be able to help them. As soon as he got the money in his account, he would go over and write them the check. He was just as excited about that as he was about getting his own brand new vehicle. Then Alan made a big mistake. It was at the news conference when he was given his check and interviewed by the media. “What are you going to do with all that money?’” they asked, as they always do. Alan couldn’t believe it. That wasn’t what he had in mind when he talked about helping people. Mick was doing all right, and already had a pretty nice boat. Alan looked down and saw that he had seventeen messages on his answering machine. As he listened through all seventeen, he was shocked to find they were all like Mick. They all wanted something, and none of them needed the kind of help Alan had in mind. At the news conference he was thinking about helping out people like his Aunt Alice, who lived on a fixed income and couldn’t afford the medicine she needed. Or his sister’s family: she and her husband had both just lost their jobs and were struggling. Or that family that needed the van. But all the messages, some from people he hardly knew, were asking for help with things like boats and snowmobiles and new cars, along with four that needed help with credit card troubles they had foolishly gotten themselves into. Alan was overwhelmed, but he was an easy-going guy. After he thought about it for a few days, he realized that a million dollars is probably all it would take to make everyone happy, and what was a million dollars to him now? So he started writing out the checks to everyone who had asked. After two weeks he had helped out 38 people and it only cost him two million dollars. And it did make him happy to see how he could so easily make other people happy. By Lee Strobel, The Case For Christ, Zondervan,1998. 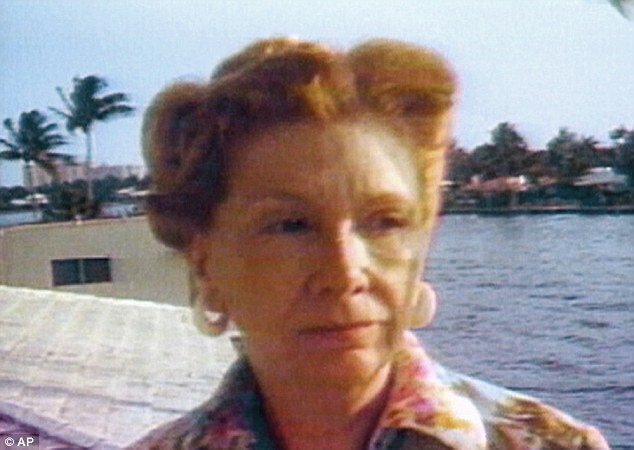 Brach Candy heiress Helen Vorhees Brach flew into O’Hare International Airport on a crisp autumn afternoon, stepped into a crowd, and promptly disappeared without a trace. For more than twenty years the mystery of what happened to this red-haired, animal-loving philanthropist has baffled police and journalists alike. While investigators are convinced she was murdered, they haven’t been able to determine the specific circumstances, largely because they’ve never found her body. Police have floated some speculation, leaked tantalizing possibilities to the press, and even got a judge to declare that a con man was responsible for her disappearance. But absent a corpse, her murder officially remains unsolved. Nobody has ever been charged with her slaying. The Brach case is one of those frustrating enigmas that keep me awake from time to time as I mentally sift through the sparse evidence and try to piece together what happened. Ultimately it’s an unsatisfying exercise; I want to know what happened, and there just aren’t enough facts to chase away the conjecture. Occasionally bodies turn up missing in pulp fiction and real life, but rarely do you encounter an empty tomb. Unlike the case of Helen Brach, the issue with Jesus isn’t that he was nowhere to be seen. It’s that he was seen, alive; he was seen, dead; and he was seen, alive once more. If we believe the gospel accounts, this isn’t a matter of a missing body. No, it’s a matter of Jesus still being alive, even to this day, even after publicly succumbing to the horrors of crucifixion. Skeptics claim that what happened to Jesus’ body is a mystery akin to Helen Brach’s disappearance— there’s not enough evidence, they say, to reach a firm conclusion. But others assert that the case is effectively closed. This wasn’t a missing persons case. Jesus had risen again. The resurrection is the supreme vindication of Jesus’ divine identity and his inspired teaching. It’s the proof of his triumph over sin and death. It’s the foreshadowing of the resurrection of his followers. It’s the basis of Christian hope. It’s the miracle of all miracles. I Corinthians 15:17 — If Christ has not been raised, your faith is futile; you are still in your sins. I Corinthians 15:19 — If only for this life we have hope in Christ, we are of all people most to be pitied. I Corinthians 15:1-6 — I want to remind you of the gospel I preached to you, which you received and on which you have taken your stand. By this gospel you are saved, if you hold firmly to the word I preached to you. Otherwise, you have believed in vain. For what I received I passed on to you as of first importance: that Christ died for our sins according to the Scriptures, that he was buried, that he was raised on the third day according to the Scriptures, and that he appeared to Cephas, and then to the Twelve. After that, he appeared to more than five hundred of the brothers and sisters at the same time, most of whom are still living, though some have fallen asleep. By Rick Warren at http://www.pastorrick.com, April 2017. (…continued) #4) And then, hold your tongue. When somebody angers you or does something that frustrates you, it’s really tempting to call someone else or send a text and say, “You won’t believe what they just did!” It may feel good to do that. But it’s not what God wants you to do. Proverbs 17:9 says, “You will keep your friends if you forgive them, but you will lose your friends if you keep talking about what they did wrong” (CEV). If you gossip about that other person, you’re just adding fuel to the fire of any frustrations you feel. God hates it. Gossip is incredibly destructive. It’s destructive to churches. It is destructive to families. It’s destructive to businesses. And gossip just perpetuates the pain. That’s why God says we should “encourage one another and build each other up,” looking for “whatever is true, whatever is noble, whatever is right, whatever is pure, whatever is lovely, whatever is admirable” in others (1 Thessalonians 5:11; Philippians 4:8 NIV). #5) Stay out of the mud. Retaliation never works with EGRs (Extra Grace Required people). It tends to escalate whatever problem you’re encountering. You need to refuse to play their game. #6) The final step is to always take the high road. We all have EGRs in our lives. They annoy us, anger us, frustrate us, and test us. But they also help us grow. God calls us to demonstrate mercy to all people — even those who cause us the most trouble. Do what’s right, no matter what the EGRs in your life do. If they insult you, treat them with kindness. If they wear on your nerves or they’re too slow for your pace, treat them with patience. You cannot control what other people think about you. You cannot control what other people say about you. You cannot control what other people do to you. But you do have 100 percent control over how you respond. The high road gives you clear perspective. When you take the high road, you can see past that person’s behavior to their pain. When you take the high road, you rise above the irritation and the conflict and choose to live in peace. You might be completely within your rights to retaliate, but the Bible says, “Mercy triumphs over judgment” (James 2:13b NIV). You might have the perfect comeback, but the Bible says, “Do not repay . . . insult with insult” (1 Peter 3:9a NIV). The classic chapter on this is Romans 12. Verse 14 says this: “Ask God to bless those who persecute you — yes, ask him to bless, not to curse” (GNT). 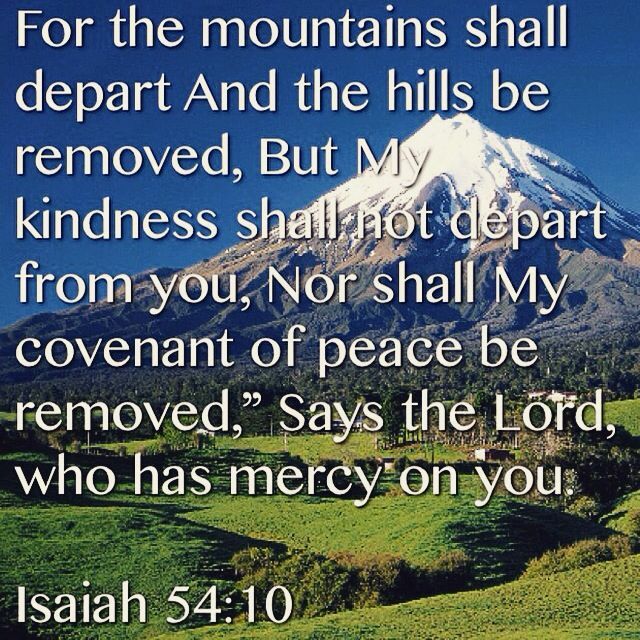 This verse is the definition of mercy. You say, “Rick, I don’t have anybody persecuting me.” Then let’s cross out the word “persecute” and write in the word “irritate.” Ask God to bless the people who irritate you. Instead of asking God to judge them, ask him to bless them. This is what real love looks like. Real love doesn’t just love someone who’s lovable. That’s easy. Real love loves the unlovable. Real love is patient with the irritable people in your life. God empowers us to love even those we find hard to love. Have mercy on me, O Lord, as I muddle my way through this sad world, on my way to you and your perfect home. I make myself miserable and my life difficult by my many sins. I create problems for others, and they create problems for me. We all have so much trouble getting along, always sinning and being sinned against. Give me the grace to forgive others and I have been forgiven by you, and may they receive the grace to forgive me as they have been forgiven by you. I pray this in the name of the Lord Jesus Christ, who died for the forgiveness of all our sins. Amen. So what do you do with people like that? How can you show them mercy when you’d rather show them the door? Here are six steps to demonstrating mercy to the EGRs in your life. #1) First, look behind their behavior. When you’re dealing with people who are offensive and irritating, you need to look past their behavior to their pain. When people are hurting others, it’s because they’re hurting on the inside. Hurt people hurt people. They’re full of fear and insecurity. They may have a painful past, or be dealing with some pressure that you don’t know about. You need to ask yourself why they are acting the way they are. Why are they being short with you? Did they have a fight with their husband or wife today? Is everything okay with their kids? Are they in financial trouble? Is something going on with their health? What’s the thorn in their foot that’s causing them to be mean to everybody else around them? You look past the behavior and look at the pain and try to understand. The Bible says, “When a fool is annoyed, he quickly lets it be known. Smart people will ignore an insult” (Proverbs 12:16 GNT). Why do wise people ignore an insult? Because they look behind the behavior to the pain. When you understand a person’s pain, it helps you respond with patience. #2) Second, refuse to be offended. Your emotional and spiritual maturity is largely measured by how you treat people who mistreat you. Do you try to get even when somebody does you wrong? If they hit you, do you hit back? If they insult you, do you insult back? If you do, then you are no better than they are. You need to pray, “God, give me a tender heart and a tough hide.” Most of us are just the opposite. We’re thin-skinned and tough-hearted. When somebody looks cross-eyed at you on the freeway, somebody cuts you off, or somebody is rude to you, don’t let it bother you. Don’t get upset about it. You need to get thicker skin. The Bible says, “A person’s wisdom yields patience; it is to one’s glory to overlook an offense” (Proverbs 19:11 NIV). Wisdom gives you patience to overlook an offense. #3) Next, be willing to cut people some slack. Everybody has bad days. My wife Kay knows that I have two touchy times every week. I’m touchy on Saturday afternoon because I’m focused on the message I am about to preach. And the other time I’m touchy is Monday morning, because I’m drained from preaching all weekend and talking to people between services. So Kay makes allowances for that. She cuts me some slack. That’s a key part of how you deal with EGRs (people with Extra Grace Required). I’ve mentioned that in dealing with EGRs we need to look behind the behavior and refuse to be offended. But we also must cut them some slack. The Bible says, “Be patient with each other, making allowance for each other’s faults because of your love” (Ephesians 4:2b TLB). Not everyone who bugs you or hurts you realizes what they’re doing. Oftentimes they’re responding to their own hidden pain, and they don’t even know that they’re hurting all these people around them. In John 14:26, Jesus promised that after he went away, he would send the Holy Spirit to “remind you of everything I have said to you.” One of the ways the Holy Spirit reminds us of Jesus is by the lives of people who have been inspired by the example of Jesus’ life, as in this story by William Willimon. In my last congregation, there was a woman who had lived a very difficult life. She had been in pain much of her adult life due to a terrible degenerative bone disease. Her young son had died of luekemia. Her husband left her shortly after that. She had had a tough life. And yet she was always smiling. Anyone in that congregation would tell you that she always seemed to put the most positive face on everything. Through all congregational crises, she kept reminding us of the bright side of the matter. She always seemed to have just the right word of encouragement at the right time amidst our periodic discouragements. I Corinthians 4:14-17 — I am writing this not to shame you but to warn you as my dear children. Even if you had ten thousand guardians in Christ, you do not have many fathers, for in Christ Jesus I became your father through the gospel. Therefore I urge you to imitate me. For this reason I have sent to you Timothy, my son whom I love, who is faithful in the Lord. He will remind you of my way of life in Christ Jesus, which agrees with what I teach everywhere in every church.